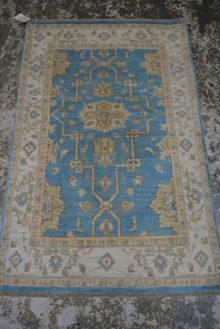 This is a more classic design Oushak or ‘chobi’ rug from Afghanistan. These are perfectly knotted rugs with hand spun vegetable dyed wool from the ghazni mountains on the outskirts of Kabul. SKU: F1043. Categories: Traditional, Transitional. Tags: Persian rug, Persian rugs. 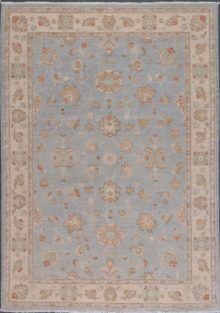 One of the most decorative rugs on the market these days is the contemporary Oushak. 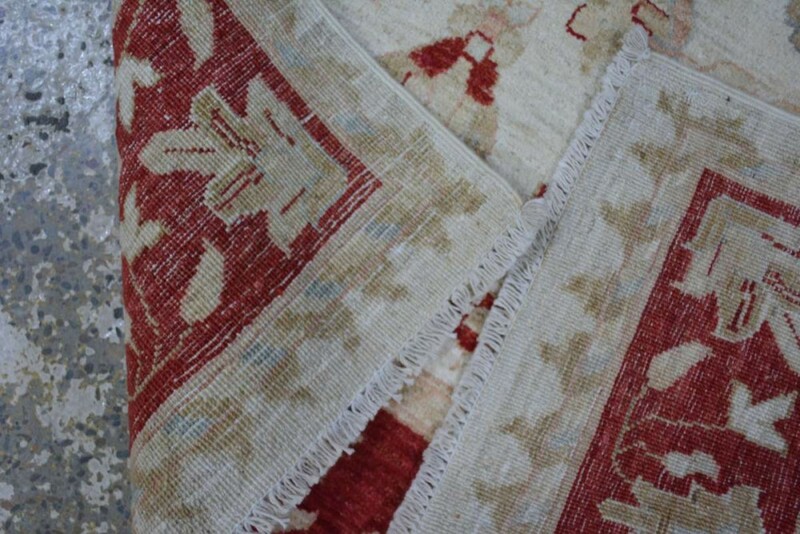 The origins of these rugs is from the city of Oushak, a Turkish city around 150 kms from Istanbul. This city has a long history of rug weaving dating back 600 years. 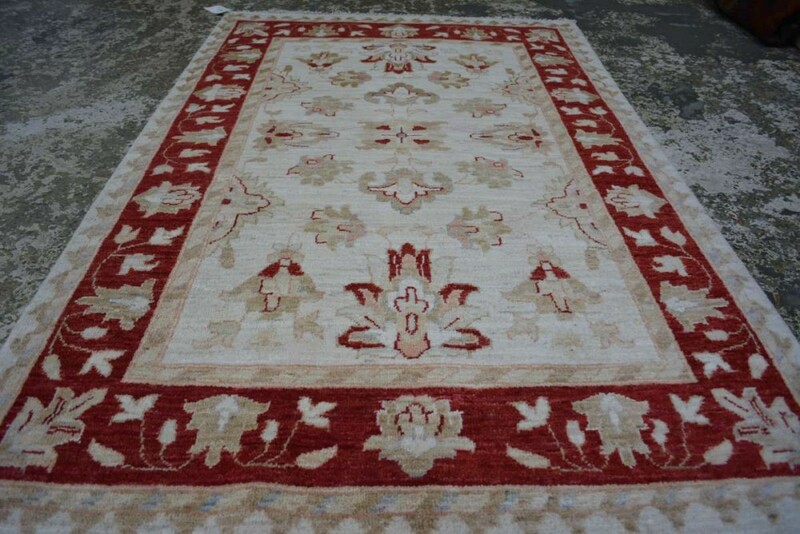 The floral and palmette designs of Oushak rugs are now seen in Persian rugs and Afghan chobi pieces. 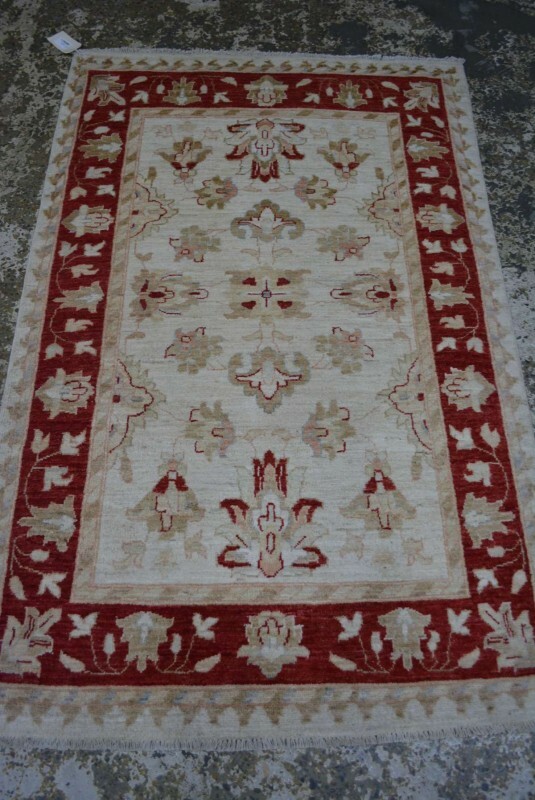 The origins of these rugs is from the city of Oushak, a Turkish city around 150 kms from Istanbul. This city has a long history of rug weaving dating back 600 years. 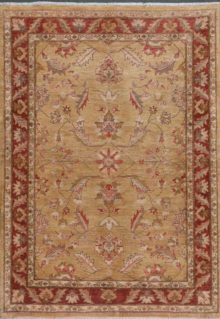 The floral and palmette designs of Oushak rugs are now seen in Persian rugs and Afghan chobi pieces. 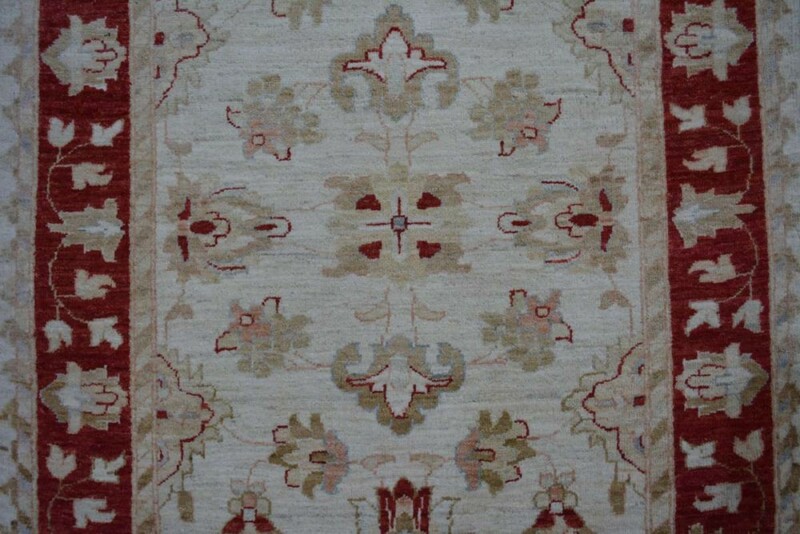 A typical characteristic of these rugs is the soft and often muted colours with Ziegler designs. 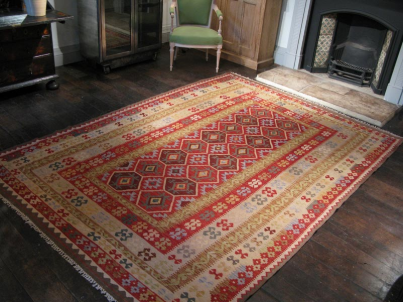 You could almost say the colours are understated and not as dominating as rugs with regular dyes. 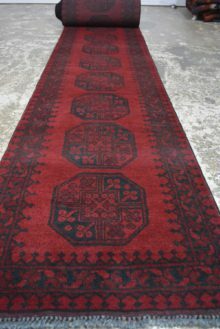 Look no further than Wet End Co. for your next Persian rug, tribal rug, or kilim rug.